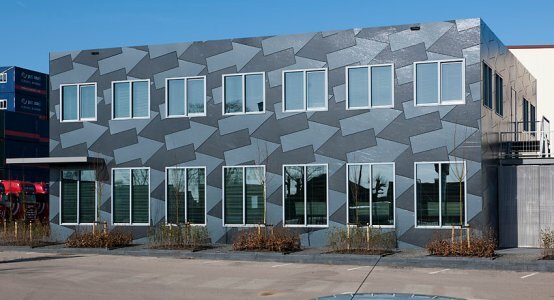 The special and symmetrical façade for the transport building of Jan Snel Group in Montfoort is executed in Raficlad Unicolor. 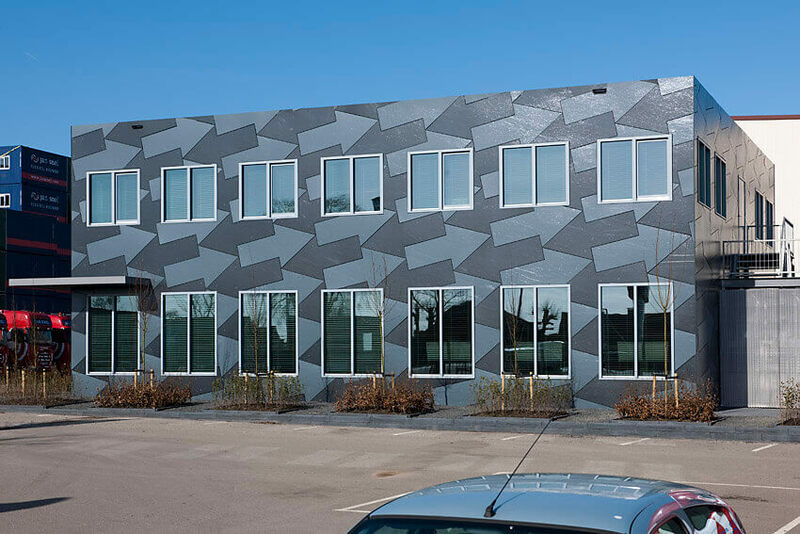 For this Escher-like façade design, two different shades of gray have been chosen whereby the colors are alternately dark and light gray for maximum effect of the design. 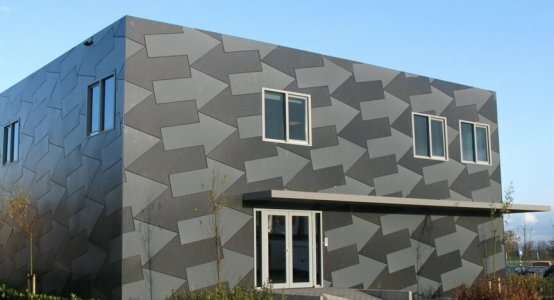 The arrows are cut very tightly on the water jet cutter. 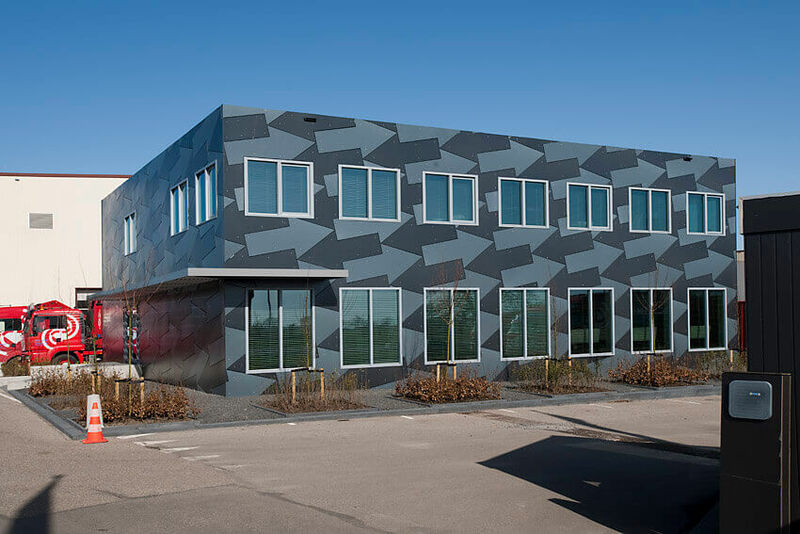 Raficlad Unicolor is pigmented through-and-through in a uniform color. 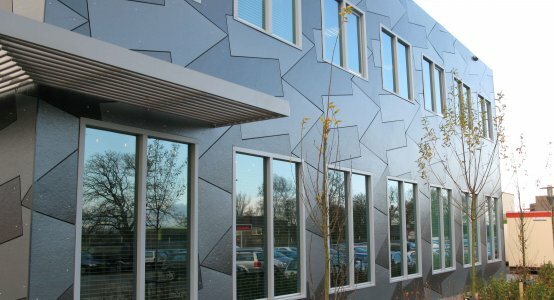 The Raficlad facade surface covers 600 m². 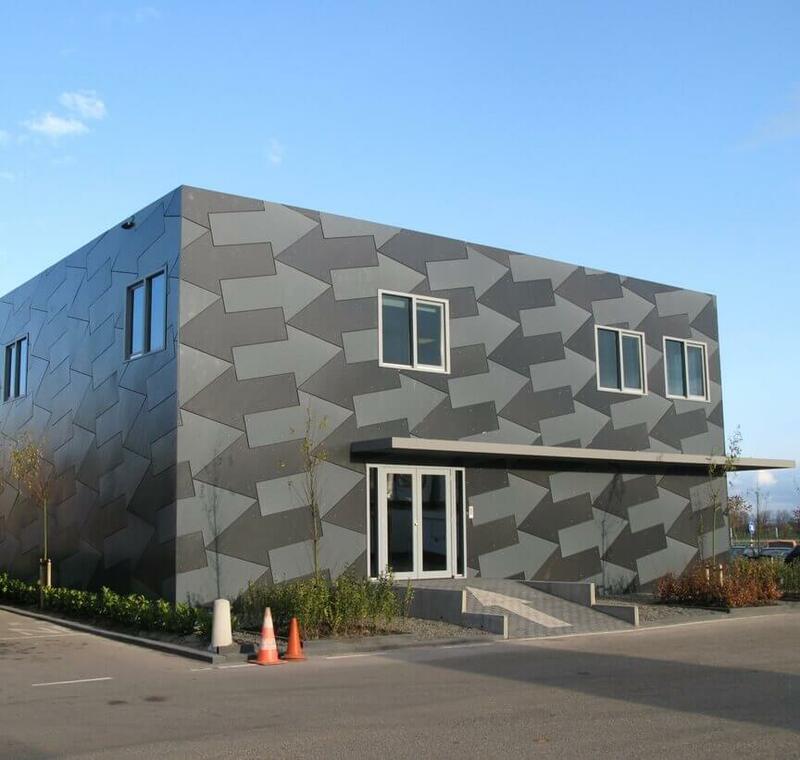 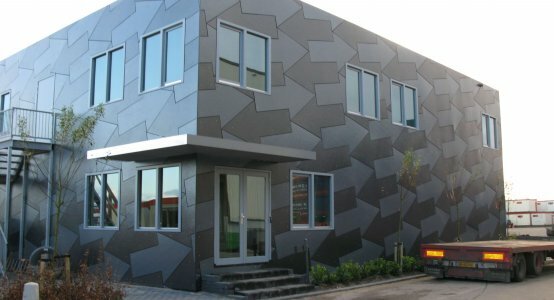 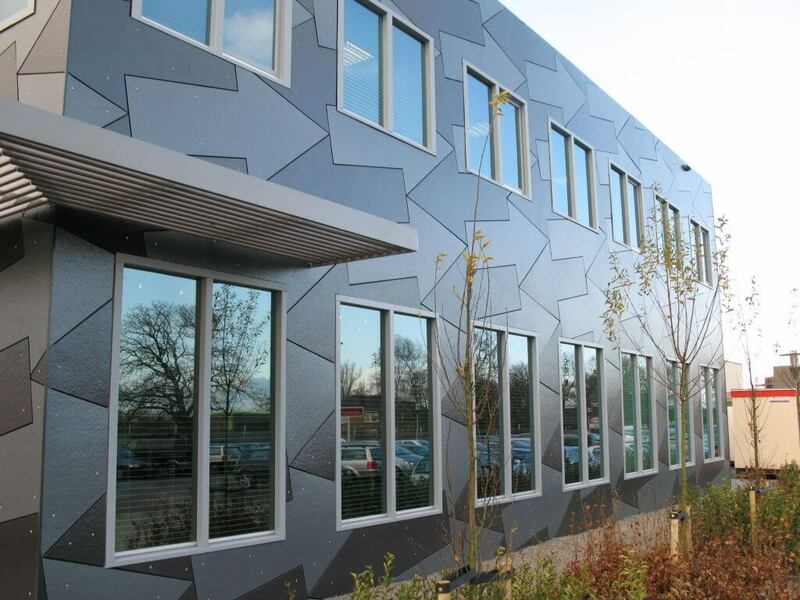 More and more architects came to Holland Composites on their search for new, special, permanently beautiful façade cladding. 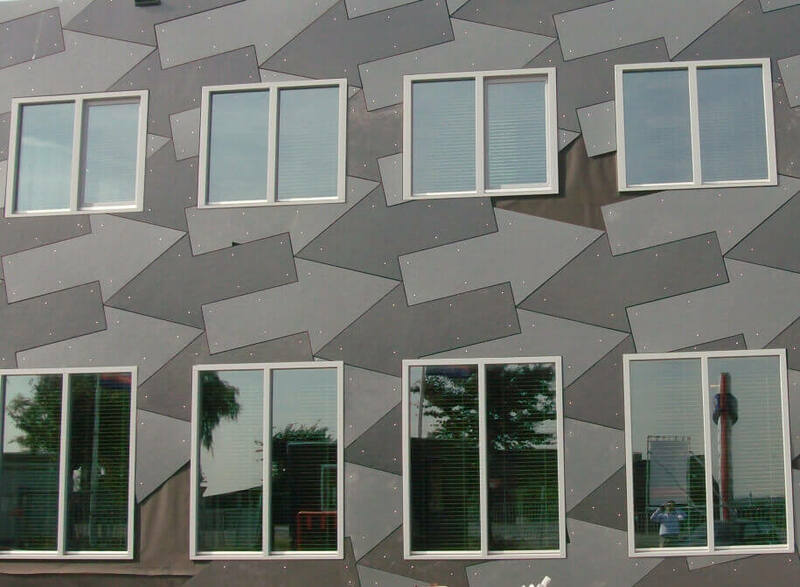 Especially for them we developed Raficlad: light-transmissive composite panels with random fiber structure. 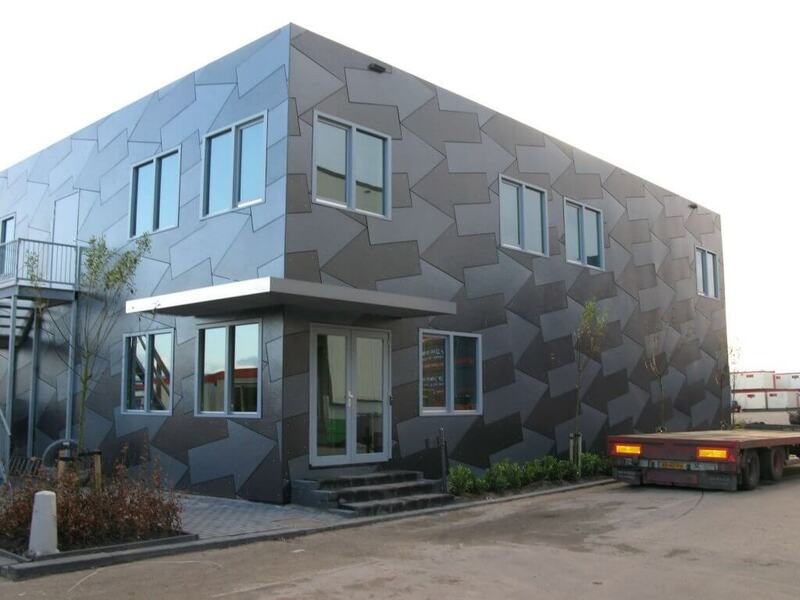 Raficlad is available in all conceivable colors, flat or with freely configurable shapes from 2 to 15 mm thick and with a maximum size of 1,500 x 7,800 mm. 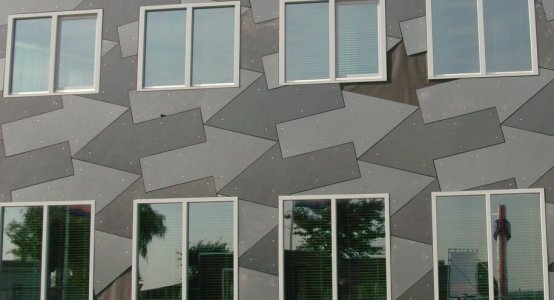 The most important advantages are the durability (UV-resistant, colourfast, corrosion-free, chemically resistant and therefore easy to clean) and the great freedom of shape. 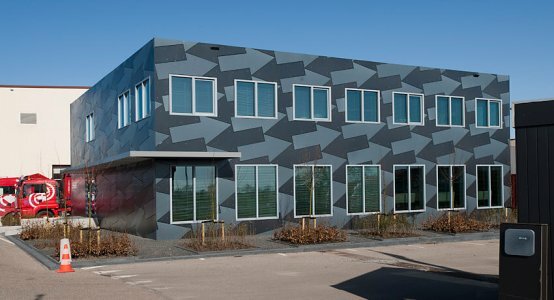 Using a CNC controlled water jet cutter, we can cut both flat and molded plates into any desired contour and provide mounting holes.